I generally add garlic to this dish but I am also serving greens cooked with garlic with the steak as well, so, tonight, I am omitting the garlic in the mushrooms. I will be using white wine, but sherry is also a great addition and I use it fairly frequently too. Here you can see the general size of the mushrooms I like to use. Some people remove the stems entirely but I like to keep them and just trim away the dried, nasty bits at the very end. The smaller ones can be sliced in half lengthwise, while the larger ones should be cut in thirds or even quarters. 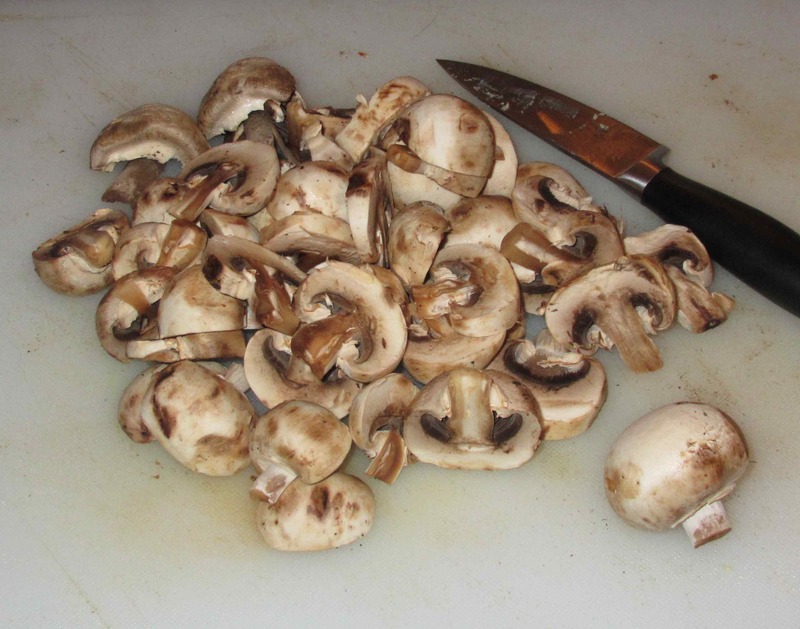 The amount I have used may look like quite a bit for two people but, in fact, the mushrooms will reduce considerably during cooking. Heat a frying pan over medium heat and then add your oil and 2 tablespoons of the butter. 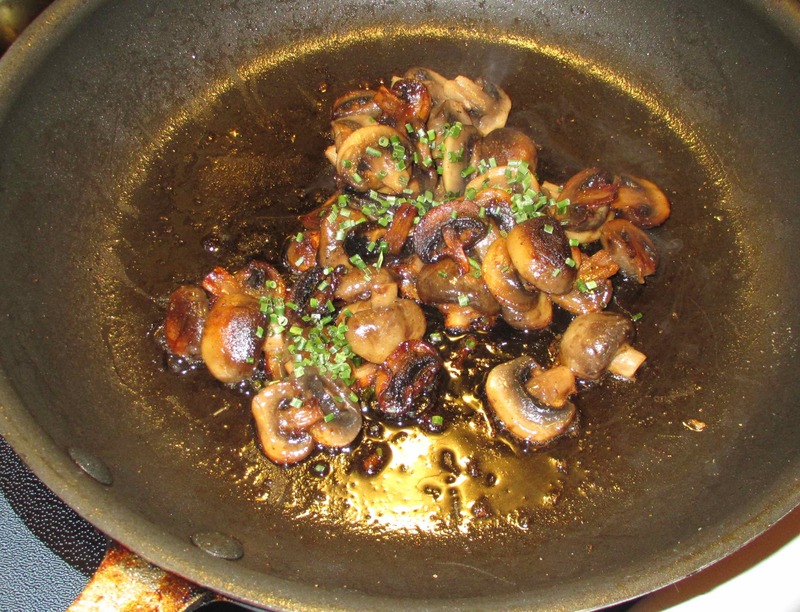 Add the mushrooms, sprinkle with the salt and then toss so that they are all coated with the oil and butter. 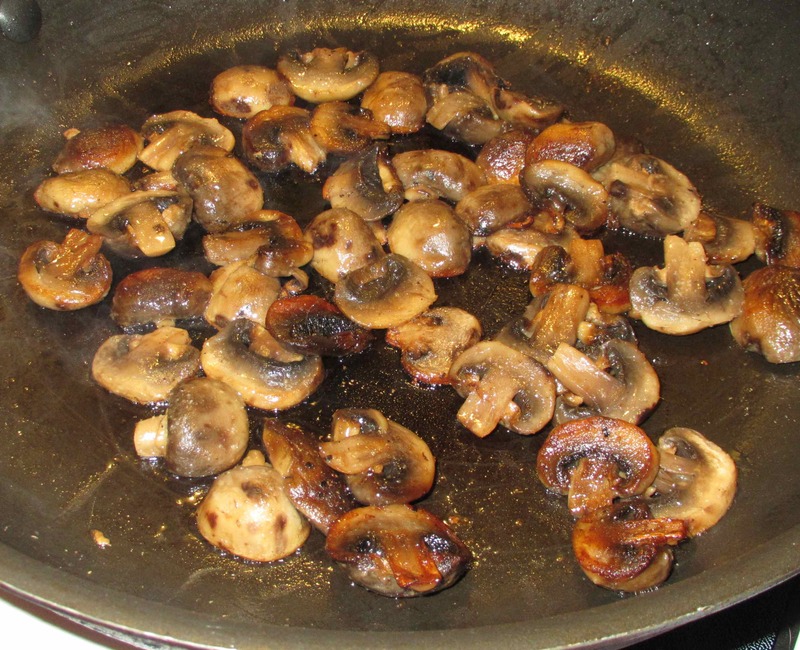 You now want to cover the pan and let the mushrooms cook for about 3 or 4 minutes. 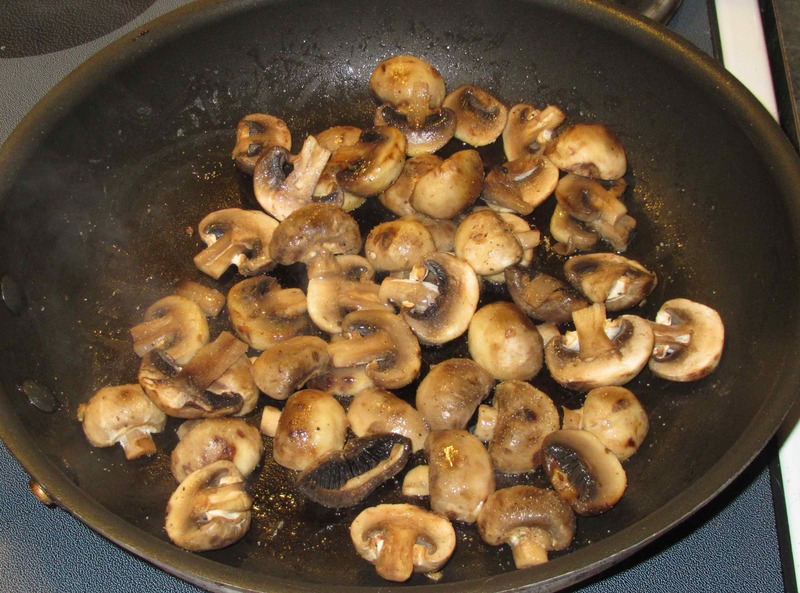 You will find that the mushrooms have thrown throw off a good bit of liquid and you now want to cook uncovered, stirring often, until the liquid has evaporated. At this point, you should add the garlic, if using, and then sprinkle liberally with freshly ground black pepper. Continue to sauté until the pieces are getting nicely golden brown at the edges but still have a little plumpness. Now add the lemon juice, white wine (or sherry) and the last tablespoon of butter, and cook a few minutes longer until the fluid has been absorbed. Finally, you may wish to garnish with a little fresh parsley, chopped scallion, or (as I have done here) some chives. As I mentioned, you can play around with this dish quite a bit and herbs like thyme or sage can be added at the same time as the garlic and pepper, with a little drizzle of truffle oil near the end being pretty good too. 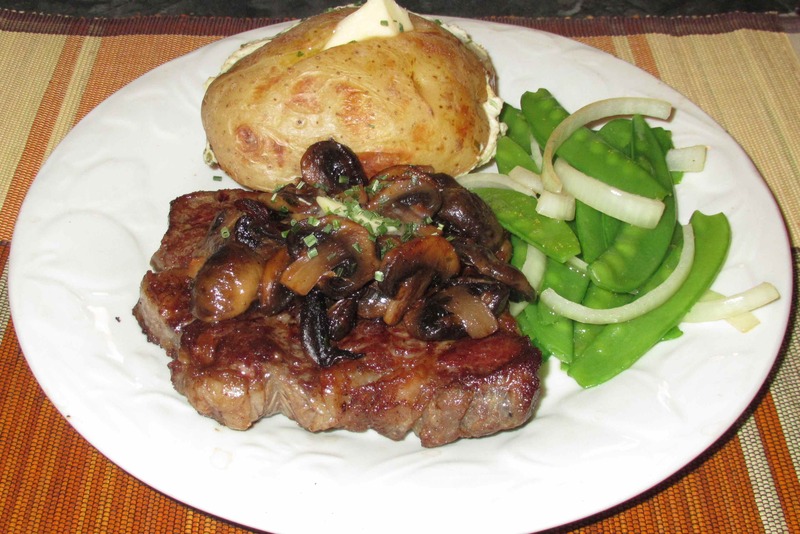 You can serve immediately, if you like, but the mushrooms keep well in a moderate oven while steaks or other main parts of the meal get cooked. If you do this, however, it is preferable to wait to add garnishes like parsley or chives until just before service. 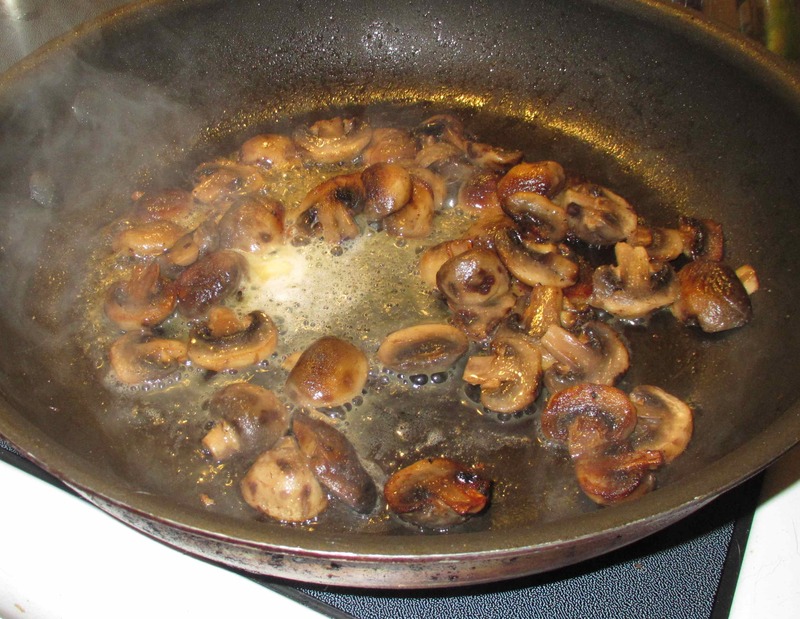 I’m going to follow your technique here because sauteed mushrooms never turn out right for me. No matter how I try to avoid crowding the pan, or adjust the heat, they always either steam too much, or suddenly go from mostly raw to almost burned. Also, your wife knows how lucky she is to have a master chef in the house, doesn’t she? In Italy the parsley is added at the same time as the garlic — this is called funghi trifolati. I’ve heard of that now that you mention it! These look amazing! We’ll have to give them a try! We’re so excited to be hosting a giving away with some really fun arm-candy, check it out! http://ofcoursevegan.com/2013/05/30/exclusive-giveaway-from-of-course-vegan-and-tresors-de-luxe/ xo! Knowing how to do simple things well is what makes one a good cook. And you obviously know your mushrooms! I usually add thyme to mine – I like the flavor combo. But thyme is my favorite herb, so that’s no surprise. 😉 Fun post – thanks. 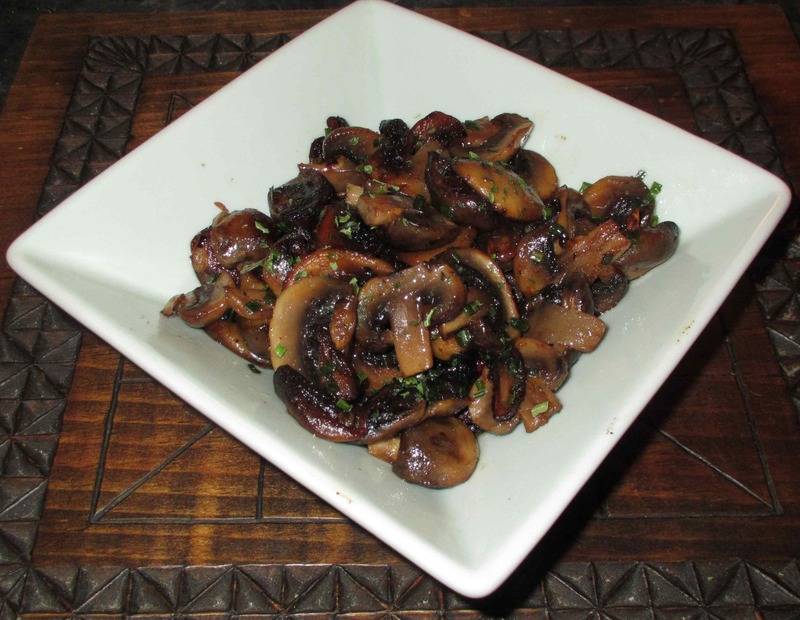 I recently had some mushrooms braised with fresh sage at a restaurant in Montreal … They were excellent and I am planning to try it myself when I get the chance (and the fresh sage). I cook mushrooms all the time, but I’ve never added the lemon or white wine. I can’t wait to try those additions. I’m salivating at your delicious meal photo!